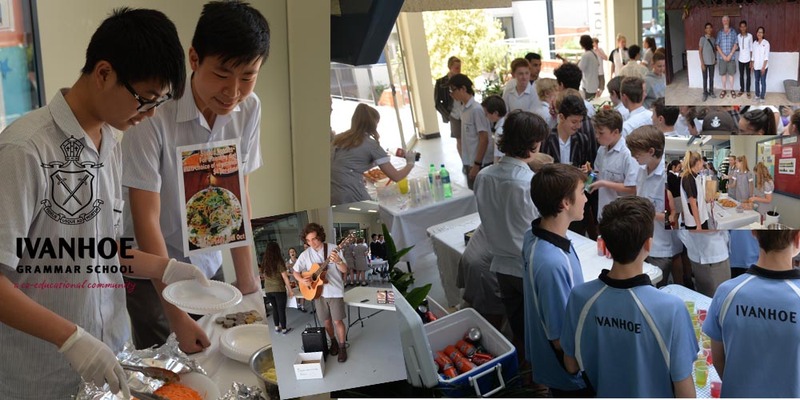 We have to say a “A real firework congratulation” to the Year 9 of Ivanhoe Grammar School for the great success on the recent feast of fund raising event, which was a Market Day selling food and drinks to raise the money for the children of Cambodia where Angkor Kids Center has been selected to be the distributing channel. With a recent establishment of HELPUCATION e.V. who put the first hand to develop AKC and be its hand, a donation of 1,007.21 Euros raised during this Market Day event has been transferred from Ivanhoe to Helpucation e.V. Special thanks to all the motivated students and the staff of Ivanhoe Grammar School for always supporting AKC, especially Mr. Garry Chapman for being a great facilitator and coordinator of this successful event.